This has been a busy year for us so far! Our ministry has grown substantially, not just in the numbers of those we serve, but in depth and scope. Looking back on the 15 years we have been here, it’s amazing to see how so many things played into laying the foundation for where we are today. From the first years we spent serving 12 girls in a small orphanage: to the computer, English, woodworking, and cooking classes we started at an orphanage, to the Bible classes, we started serving vulnerable kids in a dangerous “Red-Zone” of Guatemala City, to the years spent building relationships, learning to understand the culture and participating in community with our local church; each and every ministry we have been involved in has given us the opportunity to learn how to better serve at-risk children and their families. At long last I can see how everything we were involved with was in no way random, but was part of God’s plan to teach, train and equip us for the ministry. He had in store for us. Alone, they may look like a random collection of activities, but drawn together at long last, we can see that the whole is definitely greater than the sum of its parts. 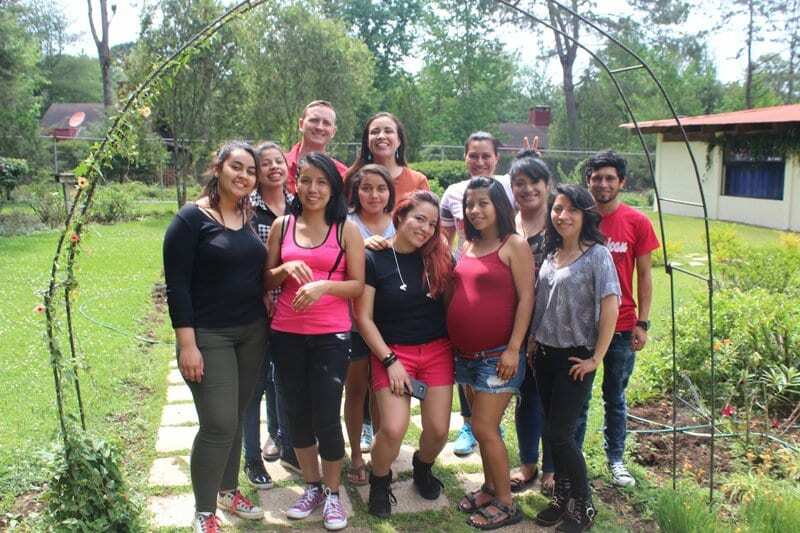 At the beginning of this year our community center in Colonia Santa Fe really took off. 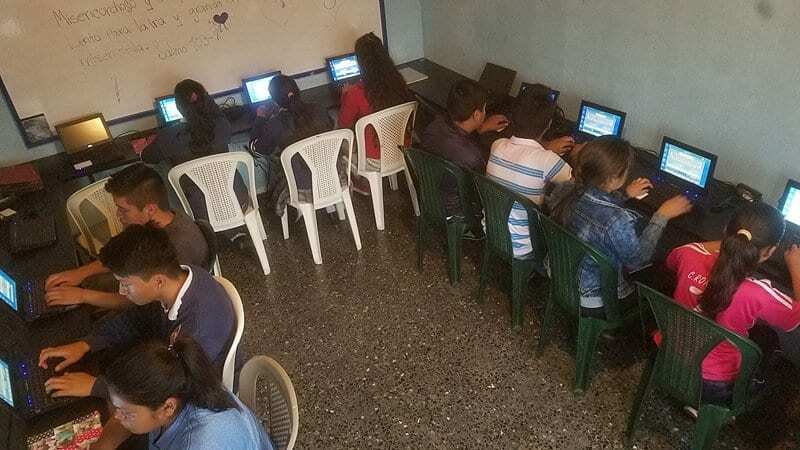 Seven years ago I started teaching Bible classes and computer classes at a small school in one of the most dangerous places in Guatemala. My desire was to have an impact in the lives of vulnerable children and their families. I believed that a proper understanding of the Gospel had the power to impact their lives, their families, and their community; leading to children that are better cared for while also reducing the possibility of kids being placed in orphanages due to abuse, neglect or danger. In January of this year, we moved from our small classroom to a bigger location, expanded our program from 1 ½ hours to 3 hours. We hired a fulltime Bible teacher and started math classes and tutoring for the students in our program. All in all the results have been nothing short of amazing. Students who were failing school in math are now passing with flying colors, and scripture memorization in our Bible classes has gone well with many children learning new verses every week. We are excited to see students taking initiative and helping to instruct their peers. After receiving a scholarship to attend a two month robotics course, Wilson and Jonathan, two of our more advanced students, started a robotics club teaching electronics, robotics and programming to other kids on Saturdays. We also have an art club that is student-led by a gifted student who discovered his passion for painting through online art tutorials and is now sharing that with others. In January we did a survey of the parents and discovered that 65% of them do not attend church regularly. This confirmed what we already suspected, that this population we were serving, in this part of town, in an area with 10 churches in 10 square blocks and in a country that is about 45% evangelical and 50% Catholic, are unchurched and largely unreached. One thing I realized long ago about grassroots ministry is that children are the key to reaching the parents. In church, you generally minister to children from Christian families. Parents who are believers bring their kids to church to learn about God. But when you work in broken communities, where the parents don’t attend church and aren’t raising their children to believe, often times the way to reach the parents is through ministry to their children. Our Bible classes three times a week is the only church these kids get. Holistic ministry means meeting all the needs of the body. That includes helping children discover the gifts and talents that God has given them and teaching them to put them use for God’s glory. We believe that the works of our hands can and should be worship to God and this is one of the reasons why we place an important emphasis on educational development. The parents of the children we serve would probably not send their kids for Bible classes three times a week. But because we offer educational reinforcement, help them with their school and teach them IT skills, all things which the parents value, they are willing to let their kids come day after day, week after week and month after month. It’s when they see that we really and truly care about the needs of their children, and that our love and concern for them comes from our faith in God, that they see that our faith is real, and that is when we have the opportunity to reach into the parents’ lives and share our faith with them. 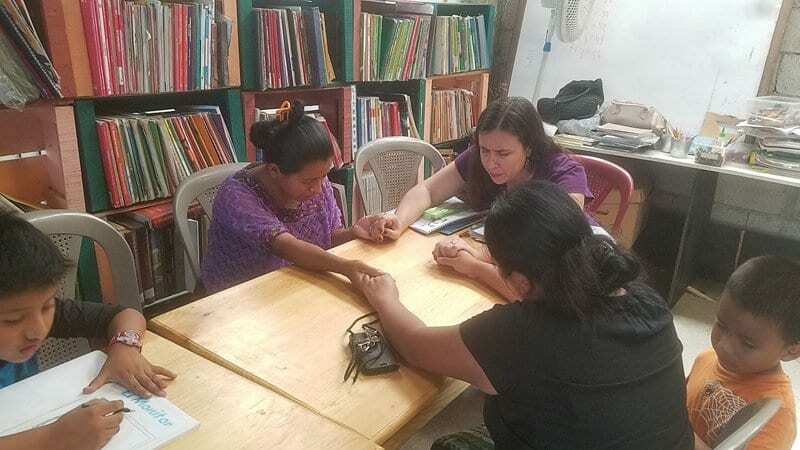 Last year we got to know Sarah Smith, a missionary who has been in Guatemala even longer than us and who, over the last 10 years had created a ministry quite similar to ours. 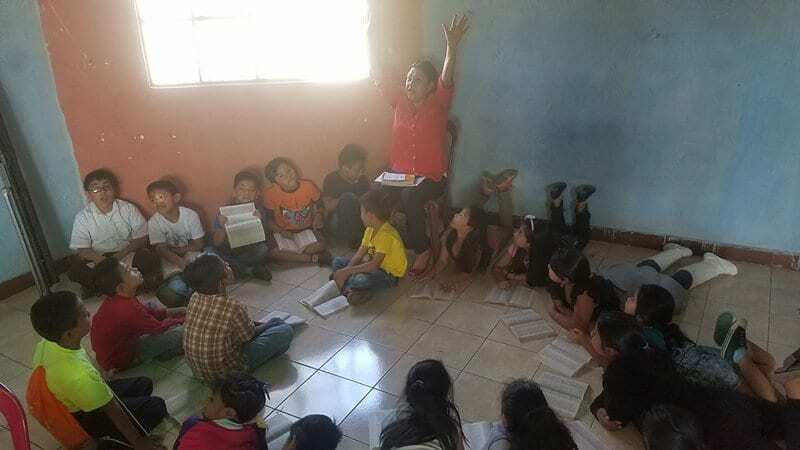 Working with profoundly impoverished children in the town of San Jose Pinula, she opened two centers that provide a meal and Bible class to over 200 children every week. Due to health reasons, she was looking for someone to help run her ministry, and after spending 6 months getting to know her ministry and her staff, we felt led to take over the running of the program. We saw great potential in taking the model we were fine tuning in our first community center, and expanding it to serve more children, so in January Sharie took over as the director of the ministry. The program has two locations. 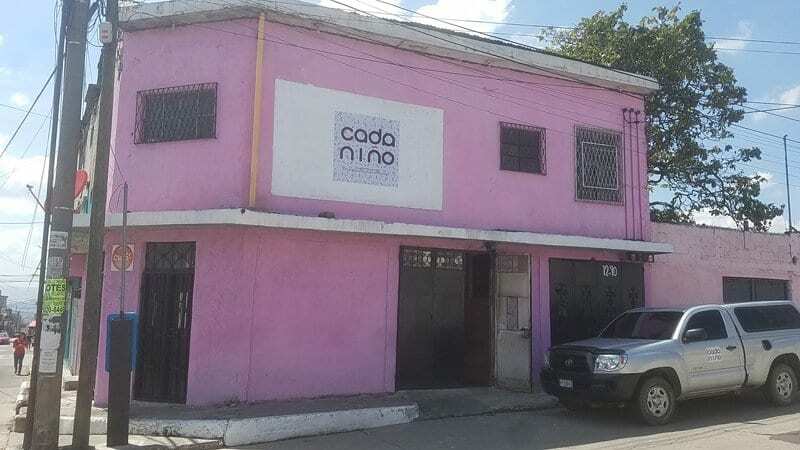 The primary one in downtown San Jose Pinula where 80 children come every week and a secondary location in a garage by the side of the road into town where 120 children and youth come for Bible classes. These are some of the most impoverished families we have seen. Many live in shacks on the side of a hill and struggle to feed their children. 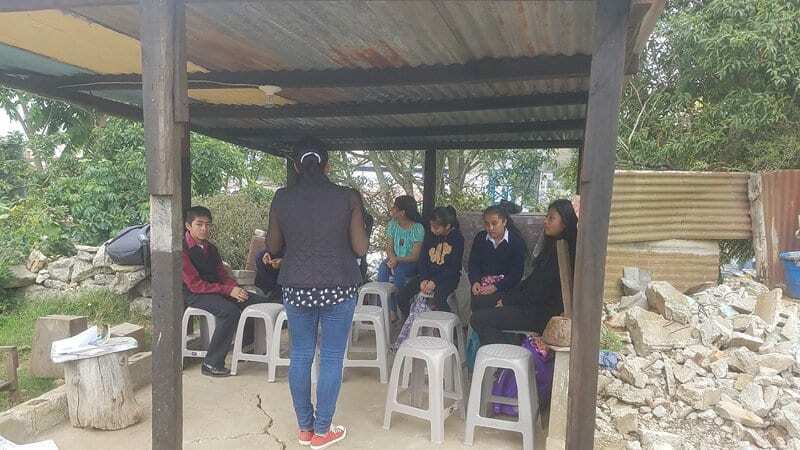 Helping meet the nutritional needs of the children while discipling them in God’s word has led to lasting fruit with many of the youth coming for classes for over 10 years. There are five staff who run the program on a daily basis. Working with and getting to know them has been a wonderful experience these past months. They are passionate about serving the children and teaching them about God. They know the children, know the families, know their stories and have a passion for the Gospel. 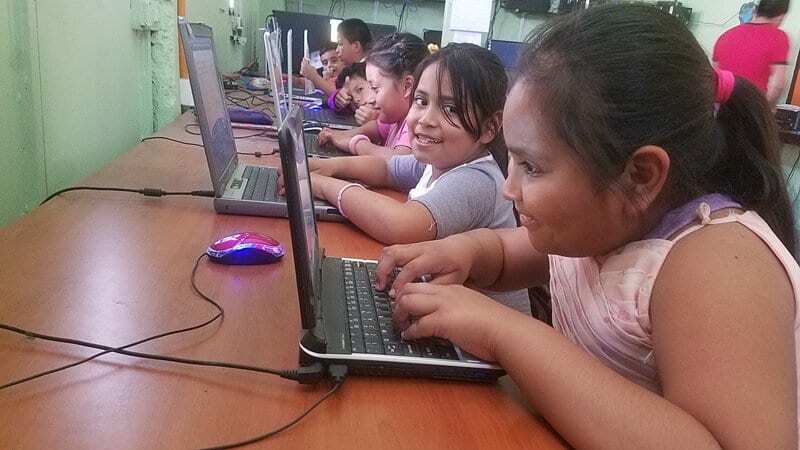 Since taking over we have worked with the staff to streamline programs in the center, started computer classes for 60 of the children and, with time, we will continue to implement the programs that have worked so well for us in our Santa Fe community center. We have also started a women’s group for the mothers and over 20 are now attending regularly. Working in this type of ministry, you have to be in it for the long haul. Yes, we want to see the children and parents led to an understanding of Salvation through Christ’s death on the cross and His payment for their sins, but we want to go beyond evangelism to making disciples of all nations. Our plan for that is to methodically teach all the things that Jesus taught and ensure that those we serve develop a solid foundation of God’s word in their lives and understand what it truly means to be a disciple of Christ. Our ministry to children who have aged out, been kicked out or left orphanages we work with continues. This is something that will never and should never end. Through phone calls, text messages, meetings, reunions, holidays, baby showers, birthday parties, and meals at our house, we have continued to provide love, assistance, guidance and comfort to girls that were once orphaned, but are now adopted by God. Tim continues to assist with overseeing a staff of 7 caretakers, nannies and therapists with their care of 16 profoundly disabled children at a government orphanage. The focus always being to love the least of these with the love of God because they are made in His image and worthy of his love. We just finished the construction of the first of two classrooms at the orphanage that our staff will be using to serve the children. We believe that the local church is the primary means by which God chooses to establish his kingdom on earth. To that end our ministry operates in partnership with Casa De Libertad, a local church in Guatemala of which we are members. Our ministries serve as an onramp for local believers to get involved in missions serving others in their community and giving them the opportunity to live out missions as a lifestyle in their own community.